If you need urgent medical advice or assistance outside normal surgery hours please ring 111. Calls to the surgery number will be diverted to NHS 111, however, this option is not free of charge. 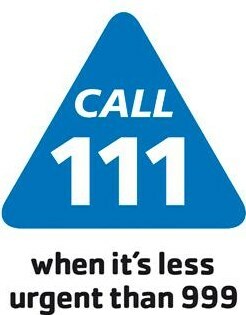 NHS 111 is available 24 hours a day, 7 days a week and all calls are free, including from mobiles. NHS 111 will assess you, provide advice and direct you straight away to the local service that can help you best.